Storage is an important aspect of any smartphone. Though majority of manufacturers provide enough internal storage, there are many that don’t follow the same practice. In an Android smartphone, the OS itself consumes around 6 GB which makes it very much tough for users to get space for multimedia objects. If you’ve a phone that is presenting storage issues, there are ways you can use a microSD card that can help you manage the problem feasibly. Let’s see how you can make the most out of your card. It would really unfortunate if your phone doesn’t have a microSD card slot. However, if you’ve a microSD card slot, it is necessary to understand the right type of card for your phone. There are two aspects in regard to the same – the maximum capacity of card your device can handle and the data transfer speed of the card. 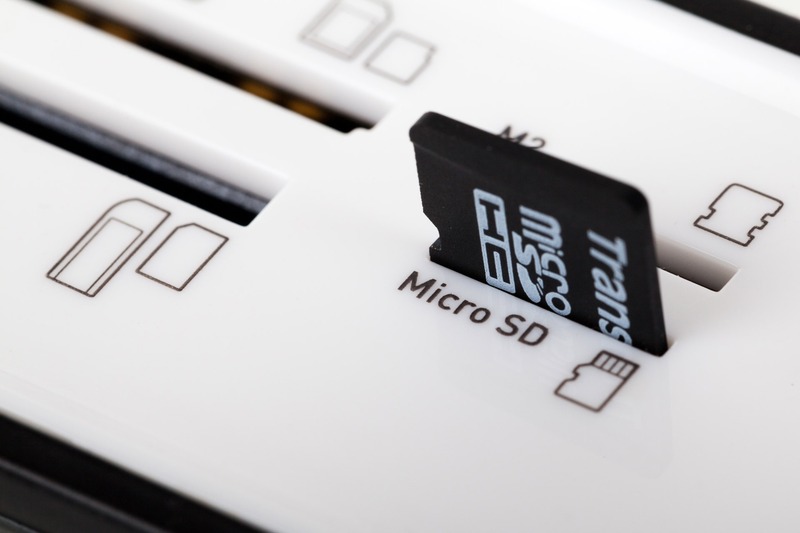 microSD cards comes under three capacity classifications. Two of these are still used on Android devices: Secure Digital High Capacity (SDHC), and Secure Digital eXtended Capacity (SDXC). SDHC includes cards under 32GB, and SDXC covers cards between 64GB and 128GB. Generally, phones more than five years old probably use SDHC, while latest devices tend to use SDXC. When choosing a size, look for the maximum size your phone can handle (that’s possibly SDXC, or larger than 32GB) and guess the amount of storage you actually need. Buy a capacity that is twice or 75 percent more than you need. A mostly filled card runs slower than an empty one. After the size, there comes speed. The two most common certifications for Android are UHS-I and Class 10. Some have claimed that UHS-I is a bit faster standard than Class 10. When tested, though, the differences appear minor. In terms of storing media files, the two standards are almost same in performance. Unluckily, the A1 standard is found to be both deceiving and uncommon. What’s misleading is that some cards without the certification perform like A1-rated cards. For example, The Wirecutter and Jeff Geerling published data showing that Samsung’s EVO+ cards had performance almost equal to the SanDisk Extreme Pro. While choosing the right kind of microSD card for your device, it is recommended to check the kind of data you typically use. If it’s only music or video files, the ubiquitous Class 10 or UHS-I certification is good enough. Samsung EVO+ and Samsung EVO Select: These are the same card. Both are loaded with lower endurance TLC NAND packages (why TLC has problems). They offer the super performance and capacity in comparison to its price. SanDisk Extreme Pro: SanDisk’s Extreme Pro relies on high-endurance MLC NAND packages, which means it’s around twice as reliable as TLC microSD cards. And it’s a bit faster than its nearest competitors, but it costs more. SanDisk Plus: Though it has an A1 rating, it’s not as fast as either the Extreme Pro or the EVO+. The benefit? It costs less than either the EVO+ or SanDisk Extreme.